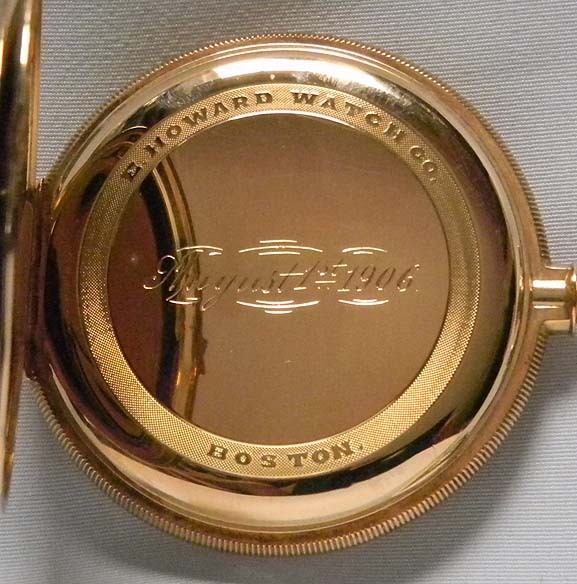 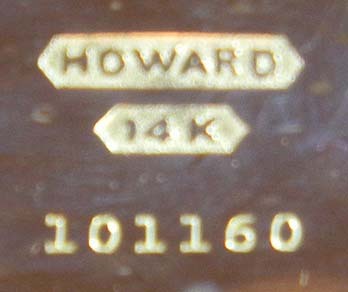 Fine 14K gold Howard 16/S antique pocket watch circa 1906. 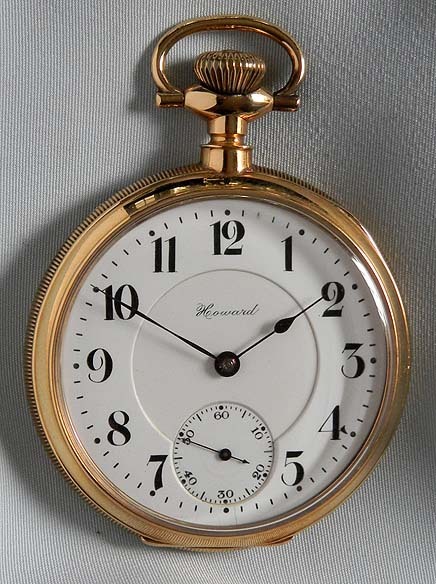 Fine white enamel dial with bold black numerals and blued steel hands. 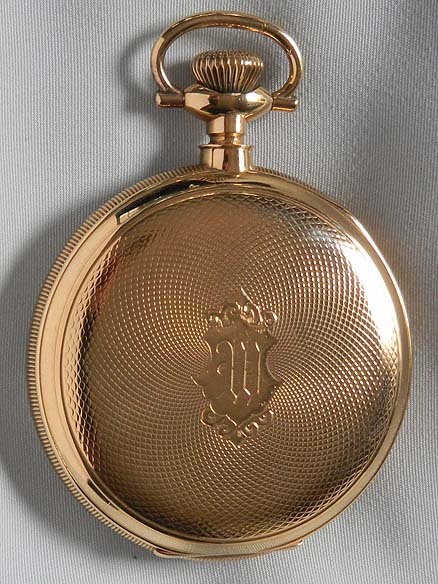 Substantial engine turned case. 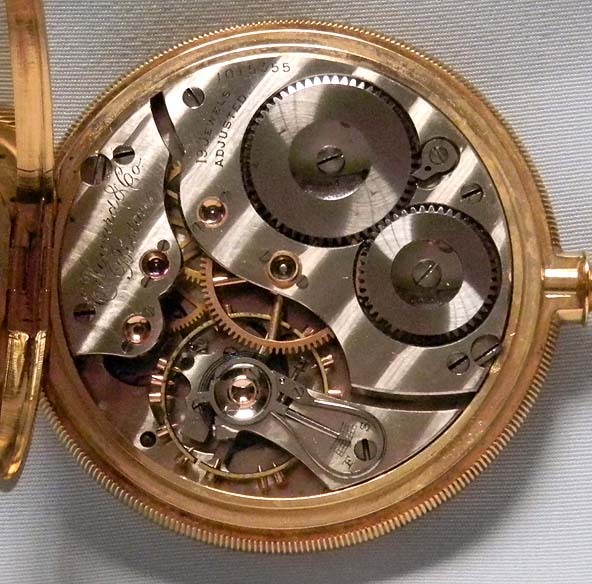 Nickel 19 jewel adjusted movement with precision regulator.